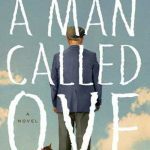 Fresh off the heels off reading and discussing Isabel Allendeâs emotional âThe Japanese Lover,â the ladies in Old Palmâs Ladies Book Club are now reading Fredrik Backmanâs âA Man Called Oveâ for this monthâs club meeting on Wednesday, April 13. In this quirky debut novel, a grumpy yet loveable man finds his solitary world turned on its head when a boisterous young family moves in next door. Although called âthe bitter neighbor from hell,â Ove has quite story behind his sad exterior. And must Ove be bitter just because he doesnât walk around with a smile plastered to his face all the time? âIf there is an award for âMost Charming Book of the Year,â this first novel by a Swedish blogger-turned-overnight sensation would win hands down,â gushes Booklist in a starred review. âA touching comic crowd pleaser that may call for a tissue or two,â writes Variety of the story of Ove that has also been turned into a movie. The Ladies Book Club meets once a month during season at 4PM in the Ladies Lounge at Old Palm to discuss best-selling novels. While itâs not necessary to read the book before attending, it is encouraged.